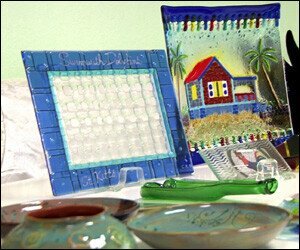 The St. Kitts Tourism Authority recently hosted a series of training workshops for craft vendors to ensure that their products remain at a high standard and to show that they play a significant role in the tourism industry. After the September 7 – 9 training, 67 craft vendors received a license to operate. Minister of Tourism, Hon. Lindsay Grant, noted that the government has instituted since 2009, the Licensing of Vendors Act to ensure that training can be ongoing and the overall service is at a very high level. Minister Grant stated that the craft industry plays a pivotal role in tourism as the visitors that travel to the country are unlike previous travelers. “It’s no longer a visitor that seeks sun, sand and sea, but it’s a visitor that’s discerning, a visitor that is looking for something authentic and I must tell you the authenticity will come from the craft,”Â Minister Grant said. He said that it was important to note that the upcoming tourism season will see an increase of 10 percent in cruise visitor arrivals. “This means that you will have a greater opportunity to earn more dollars because at the end of the day that’s why you are producing the crafts,”Â he said.